Jonathan Leigh Solomon is a stand up comedian who has appeared regularly on the Late Show with David Letterman. 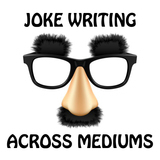 He teaches comedy and humor writing as part of the faculty for the extension programs at Santa Monica College, East LA College and Mission College. He has guest lectured at UCLA Extension and NYU. His essays on comedy appear in the Huffington Post. Jonathan has worked in every comic medium. He began his career as a New York based comic, making regular appearances on the above mentioned, Late Show with David Letterman, and over two dozen other talk and variety programs, including Evening at the Improv, Comic Strip Live and Caroline’s Comedy Hour. From there he went on to host MTV’s Awake on the Wild Side, Kid’sTV for NBC, and Short Attention Span Theater Late Night for Comedy Central. Making the move to Hollywood, Jonathan landed a development deal with Warner Bros. That lead to co-creating and starring in the FOX pilot, Bachelor Life. When the pilot failed to get a pick up, he decided that the most fun part of the sitcom process was not in front of the camera, but in the writer’s room. 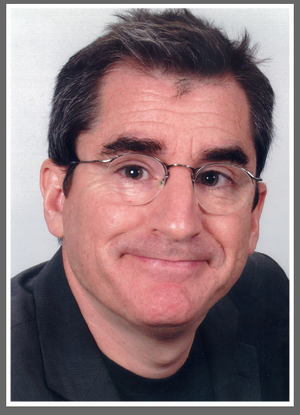 He wrote a sitcom spec script which proved to be his entrée into writing gigs – on staff with the Emmy Award winning sit-com, Mad About You, Michael Moore’sTVNation, Payne, Saturday Night Special and Conspiracy Zone, among other programs. Between seasons he authored the syndicated advice column, Dear Mr. GuyMan and the Politics.Com column, Solomon Wises to The Occasion. Jonathan writes humorous essays for Politico.Com. You can listen to him sharing semi-serious political punditry on NPR, Sean Hannity and other stops on your radio dial. You can find him around LA performing at story telling shows, including as a featured performer at the LA Story Festival. He is also working on a YA novel which has been awarded a Society for Children’s Book Writer and Illustrators Work-in-Progress Grant. George Clooney, Ben Stiller, Jon Favreau; just a few of Hollywood’s actor-writer-director multi-hyphenates whose careers offer the lesson that to prosper in show business, not to mention fully express your creative vision, it helps to be a “triple threat,” “wear three hats,” “pull triple duty,” call it what you will.